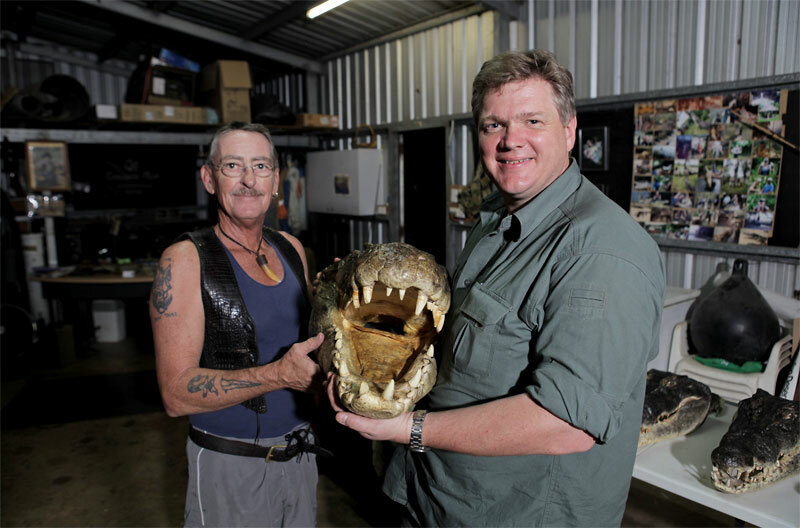 UK survival expert Ray Mears has turned his attention to Australia, filming two segments here on our saltwater crocodile and the iconic Tasmanian devil, the second of which will air in the coming week in Britain. He also looks into some reports of the continuing existence of the Tasmanian Tiger. About a third of the remote island of Tasmanina and its stunning coastline is classified as National Park, and is mired in tales of prehistoric tigers, monster crayfish and screaming dervishes. Incredibly, these myths are, to some extent, true. 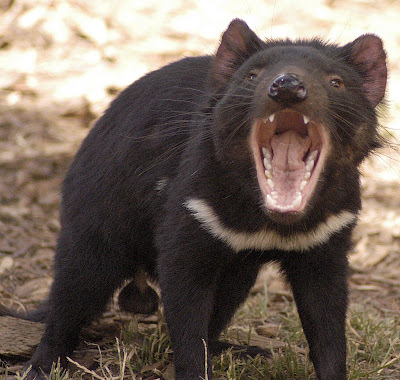 The Tasmanian devil was named after explorers heard its ferocious screams, but it is now on the precipice of extinction. Often represented as a night time terror, the devil is in fact a gregarious marsupial unique to the island. But its survival is threatened by a cancer known as Devil Facial Tumour Disease, which has laid waste to the island’s population. Ray meets the Anthony family who live in a wildlife sanctuary they built themselves. 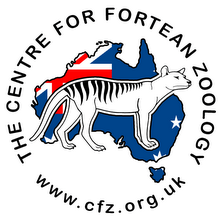 They are committed to safeguarding the future of the Tasmanian devil. Similar in appearance to a small bear, the devil is incredibly strong with immense jaw power. 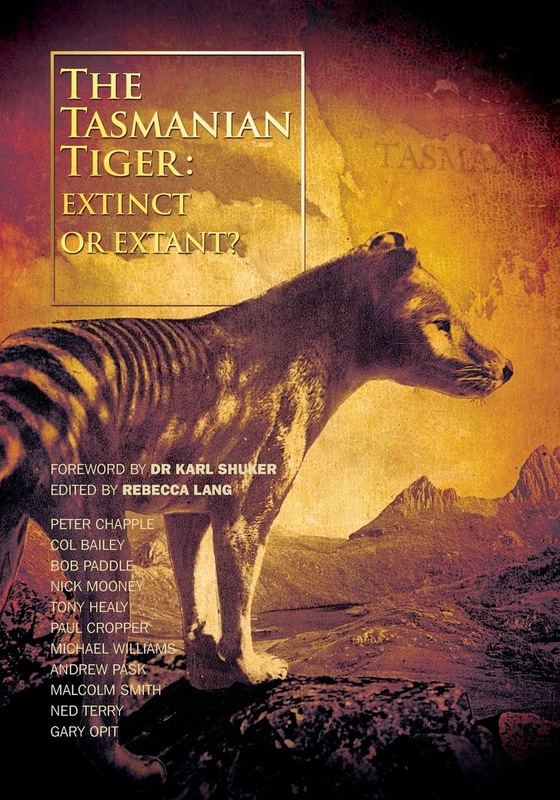 Sadly extinction is not new to Tasmania’s unique wildlife. 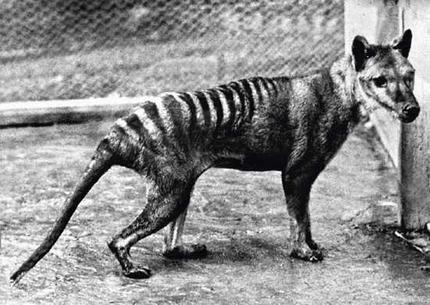 The island’s government and people were solely responsible for the extinction of the Tasmanian Tiger just 77 years ago when groups of farmers fearing for their agriculture lobbied the government. As a result, the state paid £1 per head for every animal until they were no more. Ray meets Kathryn Medlock, Senior Curator at the Tasmanian Museum to find out more about the Thylacine, or Tasmanian Tiger, Australia’s largest carnivorous marsupial. Despite their official extinction, Ray meets local people who firmly believe the tiger is still out there due to claims of sightings. The government takes sightings seriously enough to employ a government officer. Nick Mooney has worked for the Tasmanian government for 35 years. Whilst the clock is ticking for the future of the devil, Devil Facial Tumour Disease is a fairly new disease. Ray is on hand as Ruth treats a young female devil called Elsie. Ray also gets up close to some of the other unique creatures that can be found on the island, including the Monster Crayfish, whose numbers are in fast decline due to pollution in rivers. They grow up to a metre in length and are the world’s biggest freshwater invertebrates, the male’s claws are so strong they could break your arm. 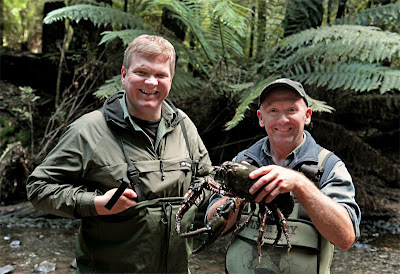 Ray also visits Western Tasmania to go in search of one of nature’s most elusive and ancient animals, the Platypus. At Trowunna Wildlife sanctuary in Mole Creek there’s a ‘devil retirement’ home. Sanctuary owner Androo Kelly has been working with insurance populations and zoo programmes all around the world ever since the Devil Facial Tumour Disease came to light. There is a theory that almost 15,000 years ago the devil’s genetic makeup changed and that’s what made them susceptible to catching the disease. Scientists are therefore working in an attempt to recreate the devil’s DNA before it changed, to see if it is possible to create a new blood line that is resistant to the disease. Ray ends his journey on the stunning northern tip of the island, on a night-time exploration with wildlife biologists hoping to see a devil in the wild for himself, before it’s too late. The episode airs on ITV in the UK on Wednesday, 24 July from 9pm-10pm. Paleontologist and former Australian Museum Director Michael Archer is working to de-extinct the gastric brooding frog and the Thylacine (aka Tasmanian Tiger), as mentioned recently on this blog. Archer recently gave an interesting TED talk on his involvement with two projects working towards 'de-extinction' of several species. Have you ever wondered how to copy your plaster cast using a much stronger medium before the master cast crumbles away? Mike Williams shot the following method of exactly copying a plaster cast of a very large felid-like print CFZ Australia found in Dural, on Sydney's fringe 12 months ago. The sequence involves using clean clay over the cast, which represents the amount of silicone that will be later used. When this is removed later, cover the whole print with sandwich wrap and then the plastic border/plaster support base is poured and then drilled. The bottles are now slotted in and the silicon is poured through the holes - this forms the 'base', upside-down. It is left to cure for 1-3 days (depending on the temperature) it is then taken apart. The silicon copy is then placed into the plaster support and a two part plastic is poured. The plastic takes roughly 24 hours to cure. Not really one for beginners, but it's a good skill to learn. Residents in the rural hamlets of Sea Lake and Nandaly are on alert after a local farmer claimed to have spotted (excuse the pun) a leopard on his property. Sea Lake farmer Nic Harrison told The Guardian of his "frightening" Australian big cat experience which occured while he was spraying crops. "I was spraying at the time on my first lap around the paddock, so I was concentrating on not hitting the fence and this huge cat just appeared," he said. 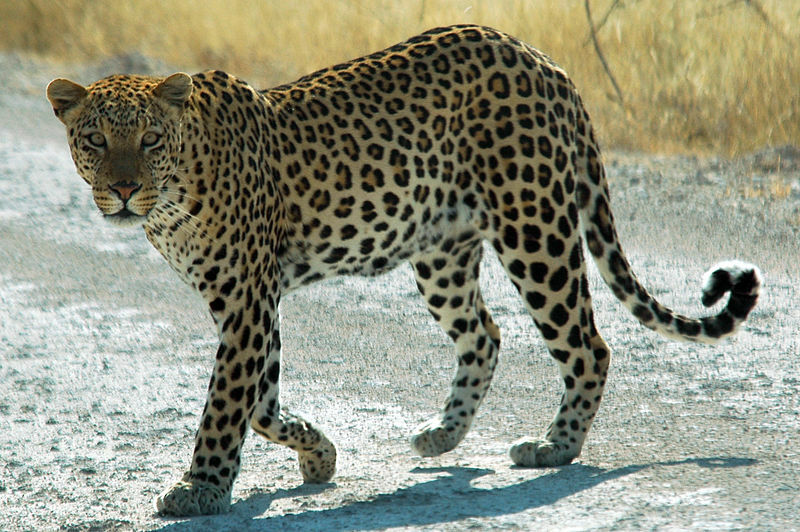 Mr Harrison believed what he saw may have been a spotted leopard. He said there was no chance it could have been a regular feral cat, or fox. "I've never seen one like it. It had spots like a leopard and it had a huge long tail. Its tail was as long as its body. I've never seen anything like it. "As soon as I saw it I thought: 'This is too big not to say anything and not worry about." 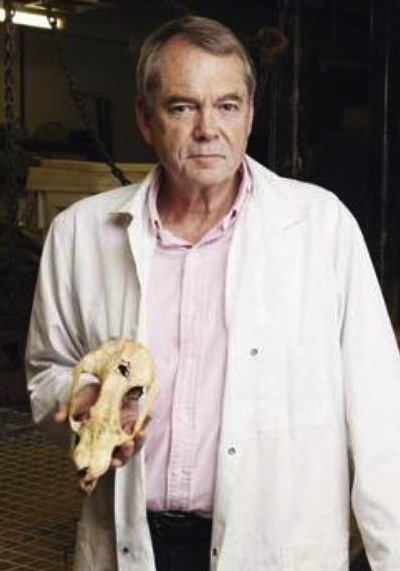 He may be a little greyer around the temples now at 68, but palaeontologist Professor Mike Archer is still hot on the trail of resurrecting the Thylacine. He heads up the Lazarus Project, an Australian scientific team making some extraordinary progress in attempting to bring an extinct species back to life. At a gathering a recent gathering of 'de-extinction experts' (it's a bit of a mouthful but it's catching on, trust us!) Archer announced his team had created cloned embryos containing the DNA of an extinct creature, Australia's southern gastric-brooding frog. Producing the embryos, by implanting the extinct frog's DNA in donor frog eggs, brings Archer's team one step closer to undoing extinction, and one step ahead of teams around the world. Read Lisa Clausen's excellent feature on Mike Archer and his work in Launceston's Examiner newspaper here. 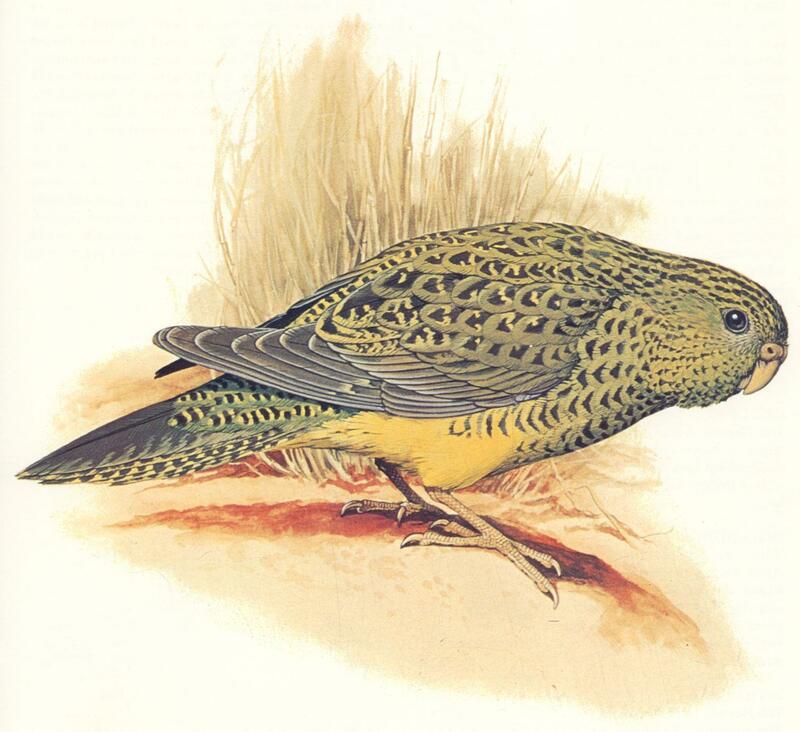 Night Parrot not extinct - proof emerges in Queensland! The rare Australian Night Parrot (Pezoporus occidentalis) has been caught - on camera, that is - by a Queensland wildlife photographer. We have posted numerous stories on this blog over the years about the nocturnal ground-dwelling bird (that some have unkindly described as a fat budgie), which had seemingly vanished from its outback Australian haunts, the spinifex grasses of the dry interior of the country. Wildlife photographer John Young has spent more than 17,000 hours out in the field and notched up 15 years of searching, and says he has finally captured several photos and a 17-second video of the bird in western Queensland. Last week he presented his evidence to more than 100 excited bird enthusiasts at the Queensland Museum under a cloak of secrecy, forbidding photographs and video. A commercial deal with a media company means Mr Young cannot publicly distribute the pictures. Australian Birdlife Magazine editor Sean Dooley hailed the revelation as an extraordinary development. "The night parrot is the Holy Grail of world bird-watching, it's probably the hardest bird in the world to see," he told the ABC. Mr Young will not say exactly where the photos were taken in the hope it will protect the bird from poachers. Watch the ABC's interview with Mr Young here. Researchers have ruled out climate change as the cause of extinction of most of Australia’s giant animals, including giant kangaroos, three metre-tall flightless birds and the Tasmanian tiger, around 50,000 years ago. 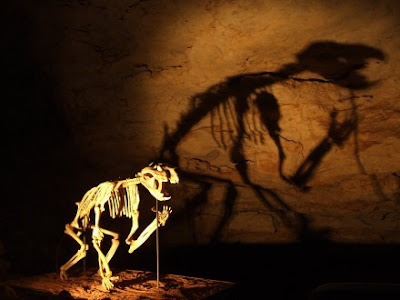 There has been much debate over the cause of the extinction of Australian’s giant animals or ‘megafauna’, says Professor Patrick De Deckker from the ANU Research School of Earth Sciences. 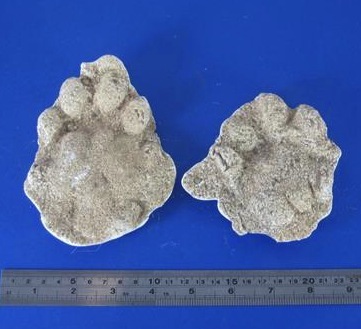 “The extinction happened around the same time as humans moved into the area, which also coincided with a change in the type of plant food available to megafauna,” Professor De Deckker said. Professor De Deckker and his ANU colleagues, in collaboration with a team in the Netherlands, analysed a sediment core taken from the sea bed, off the coast of Kangaroo Island in the offshore canyons of the Murray River. The team found that sea-surface temperature varied by only 3°C at the time of the extinction – a minor variation compared to other times in the record – indicating that the extinction did not occur in a period of major climate change. The core also revealed a shift in vegetation type immediately after the megafaunal extinction. “Before and during the extinction period, 70 per cent of the vegetation was typical of northern Australia today. 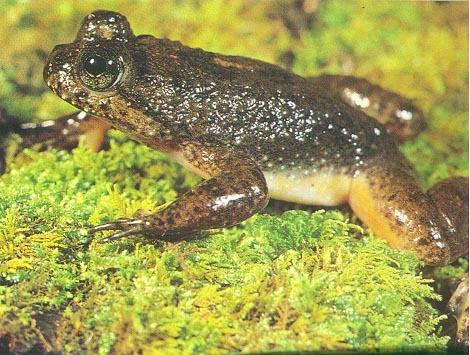 Immediately after the extinction, this value dropped to 35 per cent,” said Professor De Deckker. “Some people have suggested that this dramatic change in food sources might have been the cause of the megafaunal extinction, but we’ve shown that this was in fact a result of the extinction. Our idea is that with fewer herbivores around to eat them, substantial fuel remained in the landscape, which eventually led to massive fires. Professor Tim Flannery predicted this finding two decades ago. “The nature and relative timing of these events turns out to be exactly as first hypothesised by Professor Tim Flannery in 1990,” said Professor De Deckker. “Professor Flannery suggested that the abrupt extinction of the herbivorous megafauna meant shrubs grew unchecked, increasing the amount of flammable material. This explanation has caused considerable and ongoing controversy, but is now supported by our evidence. “While clearly demonstrating significant ecosystem after-effects of megafaunal extinction, the evidence from the core does not provide an explanation for the cause of the extinction, it does not support climate change as a cause.